Universal Marina with Vortec Marine to offer leading yacht services on Hamble River. Universal Marina on the Hamble River continues to raise the standard by extending the on-site yacht services available through a new partnership with Vortec Marine.  Vortec Marine, established in 2006, have a well-earned reputation for quality, endorsed by several major boat builders – Vortec are the only UK Nautor’s Swan approved service centre and are also an approved Oyster World Rally service partner. Vortec Marine will provide general maintenance, yacht repair, winterisation and recommissioning, rigging services, teak deck refurbishment or replacement, re-sprays and interior remodelling to Universal Marina berth holders. Regardless of boat make or size, all Universal Marina bertholders will now benefit from access to a bigger maintenance team and a wider range of on-site repair and maintenance services and expertise. With this high-standard of maintenance support and Universal Marina’s 75 tonnes Lift out and Launch facility, in addition the dry-stacks, a popular cafe-restaurant and a growing number of on-site services, Universal Marina is fast becoming the first choice marina on Hamble River and in the UK.